Oil and gas drilling is big business in Wyoming. 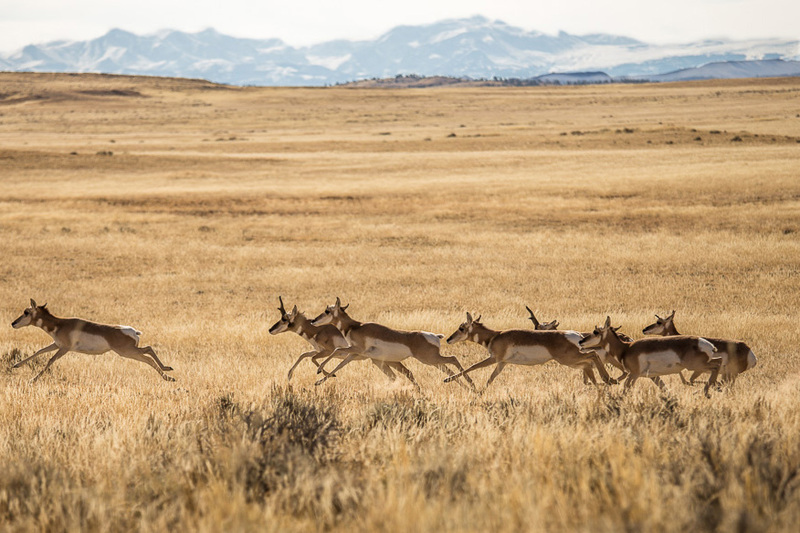 In the past, Wyoming governors under both parties have effectively managed this development and proactively worked to minimize negative impacts on communities and wildlife. This includes Wyoming becoming one of the first states in the nation to require emission reducing “green completions” at oil and gas wells and taking action under Gov. Matt Mead to dramatically cut smog-forming volatile organic compounds, methane, and other pollutants from wells in the oil and gas fields of western Wyoming. If not managed well, these emissions can deteriorate air quality and have a detrimental effect on the health of local residents and Wyoming’s wildlife. Unnecessary emissions also result in significant economic losses by allowing natural gas to escape into the air rather than companies bringing that gas to market. These wasted resources could heat homes and generate electricity. Cutting emissions through a suite of measures including frequent Leak Detection and Repair (LDAR) inspections provide a practical, economic, and effective structure to cut pollution and capture waste. Wyoming has demonstrated this with its successful quarterly inspection program in the state’s Upper Green River Basin (UGRB). In fact, Jonah Energy, a major natural gas producer in the basin, reports that its LDAR program has reduced leaks by 75 percent paying for its labor and material costs in recovered salable product. The lion’s share of new oil and gas development in Wyoming is occurring in the eastern half of the state. This new development is beyond the reach of Wyoming’s current requirements. This includes the large new 5,000 well Converse County oil and gas project currently under consideration by the U.S. Bureau of Land Management (BLM) as well as increased drilling in Campbell and Laramie counties. Without sensible waste and pollution reduction measures in place new development will lead to the waste of millions of dollars’ worth of Wyoming natural gas and hundreds of tons of pollution. According to a recent report, Wyoming loses an estimated $51 million to $96 million worth of natural gas annually due to leaks, flaring and venting. That means Wyoming taxpayers lose an additional $8.8 million to $16.1 million each year in lost revenue. Wyoming communities could have invested that funding in road and bridge repair or habitat protection for game species. More than half of Wyoming’s federal royalty dollars go to education, and our severance tax income supports vital water infrastructure, capital construction, and other municipal investments. During recent legislative session, the Wyoming legislature cut $27 million form the education budget for the next two years. Recently, the legislature cut all funding for the Wyoming Game and Fish department, cutting crucial funding to help keep sensitive species off the Endangered Species list. Sensible requirements including leak inspections on all new and existing wells will help capture lost Wyoming resources and revenue and allow us to invest in our communities, schools and wildlife. At the federal level, the Environmental Protection Agency and the BLM have acted to address oil and gas waste and pollution. However, both of these efforts are currently subject to revision and repeal. This leaves the ball in Wyoming’s court to protect local air quality and ensure resources are not wasted but instead provide desperately needed funding to Wyoming communities. By enacting sensible requirements to cut oil and gas emissions at new and existing facilities across the state, Wyoming’s next governor can continue the tradition of establishing the Cowboy State as a national leader in effectively reducing unnecessary natural gas waste and ensuring our citizens and iconic wildlife have access to clean air. Take action: Show your support by signing up for Wyoming Conservation Legacy. Drill rigs and agriculture on the Upper Green River Basin.